National legislation in Peru on police use of force and firearms generally complies with international law and standards. To life, his identity, his moral, psychical, and physical integrity, and his free development and well-being. The unborn child is a rights-bearing subject in all cases that benefit him. Article 2(24)(h) stipulates that: "No one shall be a victim of moral, psychical, or physical violence, nor be subjected to torture or inhuman or humiliating treatment. " Meetings on any premises, whether private or open to the public, do not require prior notification. Meetings held in squares and public thoroughfares require advance notification by the relevant authority, which may prohibit such meetings solely for proved reasons of safety or public health. and give a clear warning of their intention to use force, with sufficient time for it to be taken into account, unless that warning puts it in danger or creates a serious risk of death or serious injury to other people, or when the warning is obviously inadequate given the circumstances of the case. and restrain whoever opposes the authorities. a. in self-defense or of other people in case of real and imminent danger of death or serious injury. b. when a situation involving a serious threat to life occurs during the commission of a particularly serious crime. c. when there is a real and imminent danger of death or serious injury as a result of the resistance offered by the person to be arrested. d. when a person's life is put at real, imminent and current risk by an escapee. e. there is a real danger of imminent death of the police personnel or another person, by the action of who participates in a violent assembly. Peru has no dedicated independent civilian police oversight body. The National Ombudsman (Defensoria del pueblo) may investigate complaints against the police but has no power to demand a prosecution. concern at the number of people killed and wounded as a result of the actions of the security forces in response to the sometimes violent protest actions against mining projects and other extractive industries that have taken place in different regions of the country. country. has not provided the information requested on the investigations and related criminal proceedings carried out in respect of all the deaths of demonstrators caused by gunfire. of the National Police and the Armed Forces during the period under review. On the other hand, although it takes note of the explanations offered by the delegation regarding the scope of the military jurisdiction and the applicable exception legislation, the Committee remains concerned about the abusive recourse by the State party to states of emergency and the consequent restriction and / or suspension of fundamental rights and freedoms to stifle, even preventively, this type of protest. 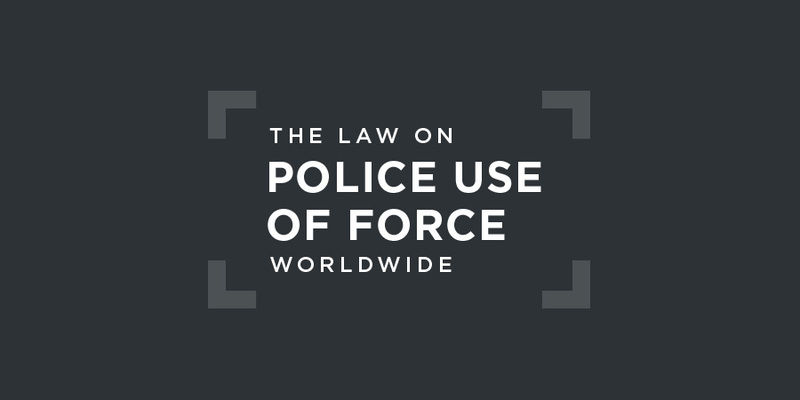 Carry out more mandatory training for all law enforcement officers and members of the armed forces on the use of force, especially in the context of demonstrations, taking due account of the Basic Principles on the Use of Force and Firearms by the Law Enforcement Officials. In December 1996, 14 members of the terrorist group Tupac Amaru Revolutionary Movement raided the Japanese ambassador's home in Lima. The TARM took the approximately 600 guests hostage for the next four months. On 22 April 1997, State armed forces raided the compound, killing the 14 terrorists, and liberating the remaining hostages. As this event was part of a non-international armed conflict, rules of international humanitarian law, such as Common Article 3 of the 1949 Geneva Conventions, applied to the situation. While the majority of the terrorists were lawfully targeted and killed, evidence surfaced that three may have been captured alive by the State, and then subsequently killed, in contravention of Common Article 3. The Court also faulted the State for failing to adequately investigate the crime scene and deaths of these individuals in a timely manner. The Court found that the State had violated the Inter-American Convention on Human Rights. With respect to arbitrary deprivation of life, the Court stated that this would occur when the use of force by the state is illegitimate, excessive, or disproportionate.